It is hard to explain a life long obsession to somebody who has not suffered from that malady. My interest in events that transpired before me began when I was three or four, and made a habit of asking my father to estimate the age of suddenly appearing farm houses set far back from newly paved Orange County streets. My father was born in Los Angeles; my mother was not, but moved to the San Fernando Valley in 1949 when my grandfather bought a tract home on a GI bill. I was born at the UCLA hospital, spent two years in the now defunct Married Student Housing project that used to sit on National Boulevard on the east side of the 405 Freeway, but spent six years exiled in Placentia, California. In 1977 my family moved to the 91401 zip code which was a few intersections from where my mother grew up in Sherman Oaks. In the twenty five years since my mother left Sherman Oaks the area had changed many fold. Two freeways dissected the community; there was a completed shopping mall, many supermarkets, and even high-rise buildings on the corner of Sepulveda and Ventura. The stories started. My mother spoke about the bull that terrorized her while walking to Chandler Elementary School on the unpaved Hazeltine Avenue where apartment buildings now stand. She spoke of the movie stars who had ranches, Crash Corrigan’s Ranch, a restaurant in Tarzana where real cowboys dined, Clark Gable greasing a pole at the Sherman Oaks Park on Halloween and placing a $100 bill on top. Van Nuys Boulevard, the fashionable shopping district of the Valley. The McKinley Home for the Boys on Riverside Drive where Fashion Square now sits. None of these things existed by the time she told these stories. I looked for evidence wherever I could. On corners dates were stamped into the concrete. Did that mean the house in front was built then? Could I date an entire tract by that date? Could I figure out which tract was built first, last, over which farm? In the late 1970s and 1980s public real estate records were not online. Nor were there any old pictures, maps, or telephone books. One summer day in 1987 when I was taking a summer class at Los Angeles Valley College I chanced upon an entire section of books on California history, and better yet San Fernando Valley history. I checked out the Lawrence Jorgensen book for as long as I could. I had a vague notion he had something to do with Los Angeles Valley College, maybe he even taught history there. Then I searched out and found literally everything ever written or published on the San Fernando Valley and Los Angeles. For twenty seven years I have spent a minimum of five hours a week reading documents on the area. Many weekends have been spent conducting research in neighborhoods, while on a bike. Five hundred hours a year for twenty seven years. 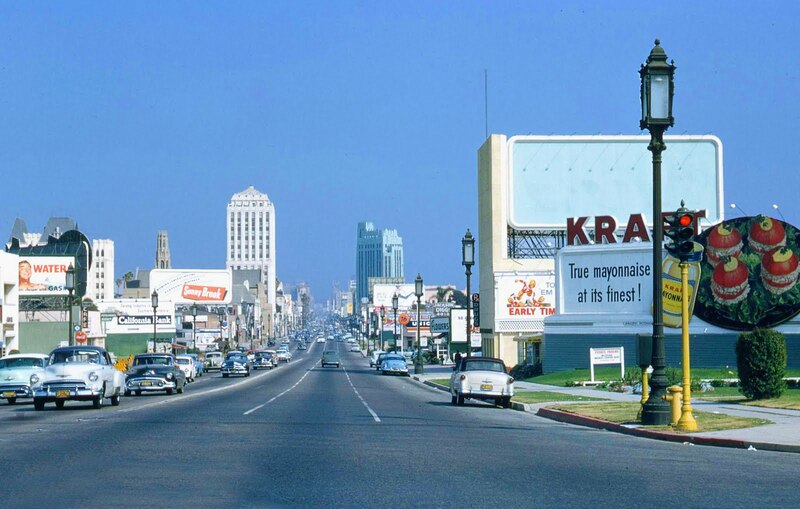 Thirteen thousand five hundred hours of research and experience into vintage Los Angeles with a particular emphasis on the San Fernando Valley. Three novels set in the San Fernando Valley, two of which are historical. Countless excursions to find old books, printings, newspapers (many on microfiche), maps, telephone books, whatever tells the story. Yes, I have spoken to countless residents of Los Angeles and the San Fernando Valley who knew it as a different place than it is now. At times I have held not entirely occupied commercial real estate in Sherman Oaks. The concept of hosting a Sherman Oaks historical museum crossed my mind many times. A few years ago I came across a man whose obsession with the history and sociology of the San Fernando Valley rivaled mine, and he beat me to the opening of a museum to house his lifelong obsession. Many websites, blogs, and Facebook pages have surfaced on the topic of the San Fernando Valley. All of them are excellent. My intention in donating my law firm’s resources to this site is not to outshine or compete with any of the other websites or San Fernando Valley museums. Besides the fact I am not yet ready to donate my collection, I want to share what I know about my collection and I want others to share what they know about a locale that has special meaning to them. Copyright © 2019 Vintage Los Angeles.